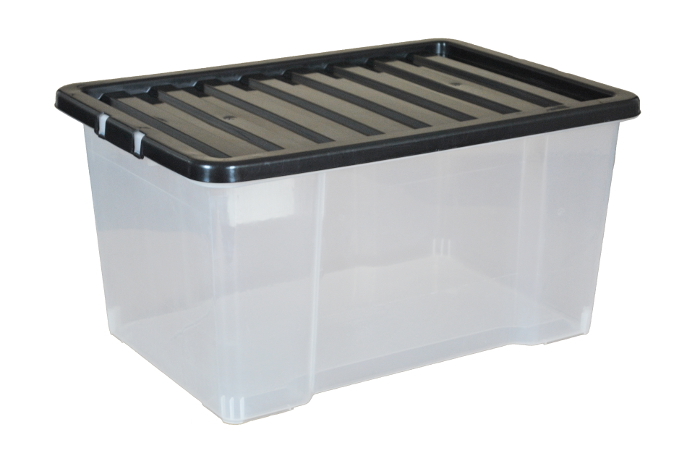 50 litre lidded storage boxes. Can be purchased in a range of discounted packs or as a single box. A multi-purpose clear plastic storage box ideal for storing items in the home, garage or office. Manufactured from polypropylene plastic, these boxes can be nested inside each other when the lids are off, saving valuable storage space when not in use. When the black recycled plastic clip-lock lids are on, the boxes can be stacked vertically on top of each other.